Oyo State Governor, Senator Abiola Ajimobi, has appointed Mrs. Hannah Ogunesan, as a successor to the outgoing Head of Service, Mr. Soji Eniade, with effect from Thursday, February 8, 2018. Secretary to the State Government, Mr. Olalekan Alli, who conveyed the appointment through a statement, on Friday, said the new development was a sequel to the retirement of Eniade from the state’s civil service. The statement also announced the appointment of the outgoing HOS as Executive Assistant, Administration, to the governor “in view of his sterling performance” during his tenure as the number one civil servant. His appointment also takes effect from Thursday, February 8, 2018. 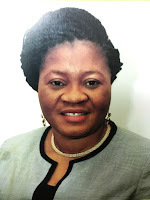 Ogunesan, who joined the public service of the state on April 1, 1989, has served in various capacities before her current appointment as permanent secretary in the state’s ministry of local government and chieftaincy matters, on July 1, 2015. The new HOS is an alumnus of the London School of Economics’ Executive Summer School, where she completed an approved programme on Strategic Decisions in Management.